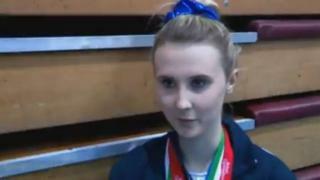 Twelve months after a "career-ending" knee injury all-Ireland age-group trampolining champion Hannah Mellon is back competing and eyeing GB honours. The 15-year-old from Northern Ireland tells Get Inspired about her amazing journey from the operating table back to the trampoline bed inside a year. To find out more about how to get into gymnastics take a look at our dedicated page.